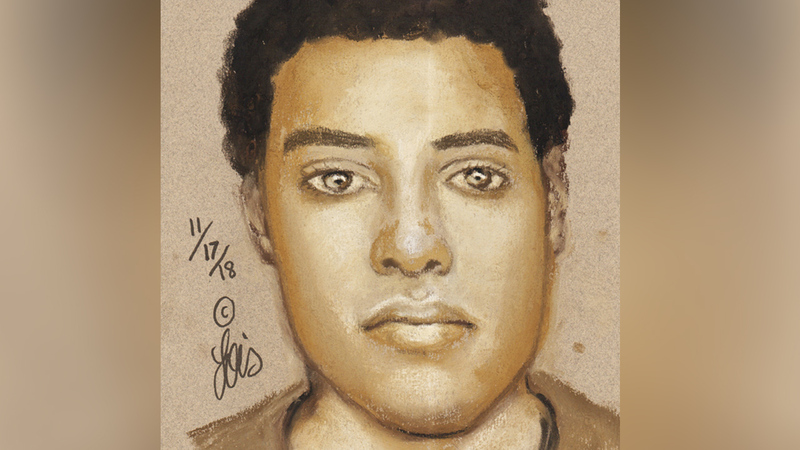 Houston police have released the sketch of a man they say stabbed a 71-year-old woman 13 times while she was in the shower. Authorities believe her car was taken after the attack. The stabbing happened Nov. 2 around 10 a.m. at an apartment complex in the 2300 block of West 18th St. in the Heights. Authorities say the suspect climbed over the victim's wooden patio fence and used a rock wrapped in a shirt to shatter the sliding glass door leading to the patio. Officials told ABC13 the woman heard the glass break, and before she could do anything, the suspect was already in the bathroom. That's when he began to stab her all over her body. Neighbors say they heard the victim's screams, but it wasn't until a maintenance man noticed the shattered patio glass door at her apartment that she was discovered in the shower. The victim was taken to the hospital with stab wounds to her upper back and neck. She was placed in a medically-induced coma. After the attack, a witness saw the suspect in the sketch removing the victim's license plate from her vehicle, which is a white Toyota Corolla with Texas plate BCX 5887. The suspect is described as a man of possibly mixed race in his 20s with a medium to slightly stocky build.